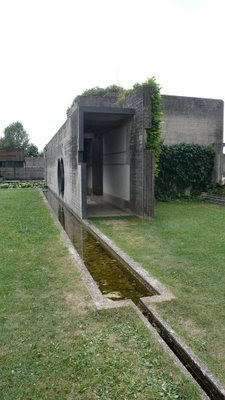 I may have finally tapped out the well in creative titles for Vegetated Architecture. A few times warrant some more significant coverage of one project, but for the most part the groups are a someone random assortment of projects that are given a little thread of narrative to tie them loosely together. There have been more sporadic posts with similar content - as well as the wildly popular Veg.itect series featuring Nouvel, Yeang, and Sharp will continue as is - many more firms to cover on that list. It's time to lay the witticisms to rest. So here's the total list to date... a brief eulogy perhaps... and some fond memories. Part due laziness, part sheer simplicity... I'm adopting the long-standing concept of numerically ordered series. I searched back through the previous posts, and decided that there were a critical enough mass of solid posts in the true spirit of veg.itecture - so this one would begin the next post with a new thread - picking up on sweet number sixteen so the next one will be... oh, you know. Also, I did barely begin to sort my collected imagery on the Landscape+Urbanism Image Gallery - which is starting to take the shape of a wonderful cross section of many themes... check them out, and send me anything with a smidgen of greenery you find out there in the ether.